Summer is the perfect time to keep up those preschool pre-reading skills that have been worked on all year. 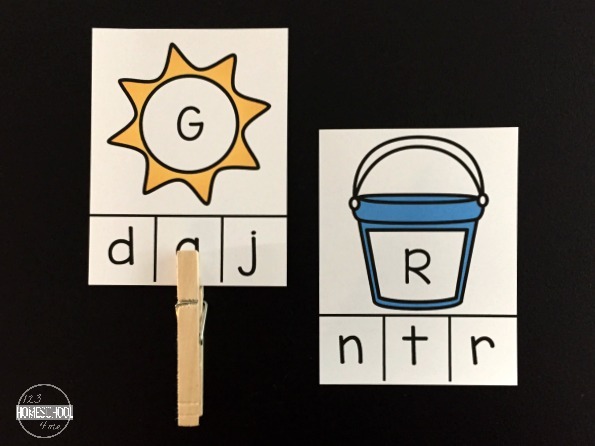 Our Summer Fun Alphabet Clip Cards are perfect to use to practice uppercase and lowercase letter recognition and strengthen fine motor skills! Everything about this time of year just screams summer! We are officially on summer break in our house and enjoying every bit of our down time. Just because school is out though, does not mean that learning needs to stop. Instead, keep the learning going, but keep it fun! 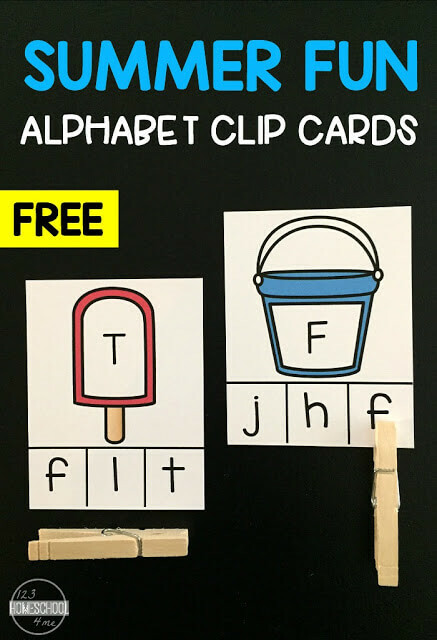 These Summer Fun Alphabet Clip Cards are perfect for summer learning. This free printable set includes 26 summer themed alphabet clip cards. Each clip card has an uppercase letter on it with 3 lowercase letters at the bottom. The goal is to match the uppercase letter to the correct lower case letter and select it with a clothespin! 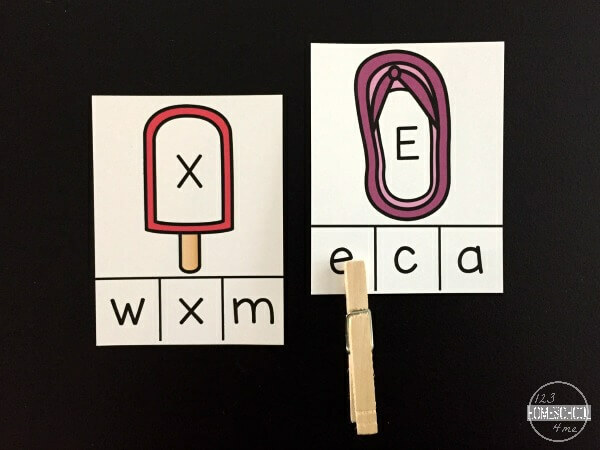 Print the summer fun alphabet clip cards from the file below. Print and laminate or print on cardstock for extra durability. I find that the little hands in my preschool classroom tend to bend and wrinkle clip cards while trying to get the clothespin on. Put the cards in a basket or tray and add clothespins. My preschoolers prefer to have a clothespin for each clip card, so I make sure to have a bunch out. I love that you can find sets of clothespins at the dollar store! There is no right or wrong way to play with this set of summer fun alphabet clip cards. Some kids will go through the cards and clip each correct match with ease. Others will struggle with matching and opening and closing the clothespin on each card. Identify where your child falls and adapt these clip cards to best set your child up for success. If 26 letters are too many to start with, choose the letters in your child’s name to begin with. After those letters are mastered, keep slowly adding more to the game until all letter of the alphabet are being played with. If for some reason having 3 lowercase letter choices is too tricky, consider covering up one of the choices with a post-it or coloring one with a dry erase marker if you’ve laminated them. Having to choose from 2 choices may be less frustrating at first! If you are loving summer themed learning activities, you need to check out these!